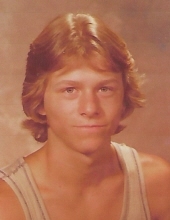 Thomas S. West, age 57, a resident of Aurora, IL and formerly of Carol Stream, and Elmhurst, IL, passed away on February 5, 2019. He was born on December 17, 1961 in Chicago, IL. Tom is survived by his sisters, Audrey (Lance) Knez and Karen West (Lou Denton); and his nieces and nephews, David, Ethan, and Gabriella Knez, Jonathan (Leanne), Madeline, and Max Pospischil. He was preceded in death by his parents, Warren and Barbara West and his sister, Janice West. Tom worked at Burr Ridge Car Care in the body shop and later in the shipping and receiving industry. He enjoyed fixing up old cars, watching football and was passionate about music and never missed a U2 concert in Chicago. Tom had many friends and family who will miss the fun-loving, quick-witted man they knew before disease took hold. A memorial service will be held in June at the Chain of Lakes in Wisconsin where he enjoyed many vacations. Friedrich-Jones Funeral Home & Cremation Services, Naperville was entrusted with arrangements. To send flowers or a remembrance gift to the family of Thomas S. West, please visit our Tribute Store. "Email Address" would like to share the life celebration of Thomas S. West. Click on the "link" to go to share a favorite memory or leave a condolence message for the family.